MOgene’s “data driven and insight generating” bioinformatics team is ready to help our customers analyze their data, whether it’s just a few Megabytes to large data files generated in next generation sequencing experiments. Bioinformatics workflows can be customized to suite the requirements of the projects. Our bioinformatics team has helped our clients in a wide range of data analysis—from simple gene expression profiles obtained using microarrays to qPCR to complex analyses of next generation sequencing data. Our bioinformatics team has expertise across multiple aspects of genomics and discovery encompassing all fields of life science. We can provide data analyses services for a wide variety of microarray and next generation sequencing data types. Some of the examples of these analyses are differential gene expression analysis using either some of the commercially available software packages or open source packages using R, aCGH, methylation or ChIP-on-chip data analyses. Additional NGS analyses include de novo assembly of prokaryotic genomes, metagenomics or 16S data analyses, identification of structural variants (SNPs, indels, CNV), genotyping by sequencing (GBS), and insertion site analyses and RNASeq (transcriptomic data analyses, IsoSeq differential expression). Based on our client’s requirements, we customize the data analyses pipelines to provide detailed annotations such GO analyses and pathway analyses. If you need any bioinformatics analysis, please contact MOgene to discuss your project details. MOgene’s bioinformatics scientists leverage cloud computing resources (Amazon, Google) when scalable, general-purpose computing utility is required. And our on premise compute cluster is ideal for de novo genome assembly and other informatics projects requiring data traceability (sensitive data). Each node of our cluster is outfitted with cutting edge 8-core CPUs and 256GB of RAM, making short work of analyses with high memory requirements. Our goal is to expedite your scientific insights. We perform a wide range of bioinformatics analyses using the tools and commercial software resources listed below. But we’re always excited to develop new methods and explore new tools that add value for our clients. 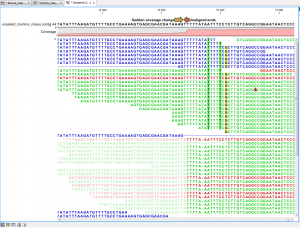 Tools to find open reading frames in prokaryotes and eukaryotes.